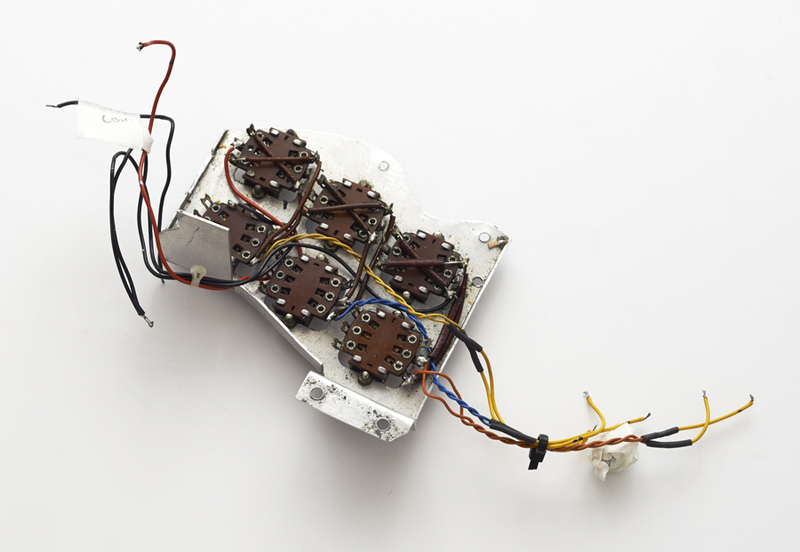 The underside of the six switches, still in their original metal frame as built by Brian. The top row of switches as pictured here (the bottom row when the frame is within the Red Special, of course) reverse the phase of each pickup, as the wiring clearly shows. The number of tones that this deceptively simple configuration gives is incredible and it’s interesting that no other commercially available guitar possesses anything like it, the myriad Red Special-style guitars notwithstanding. By all means share this photo, but please credit The Red Special.com should you do so.